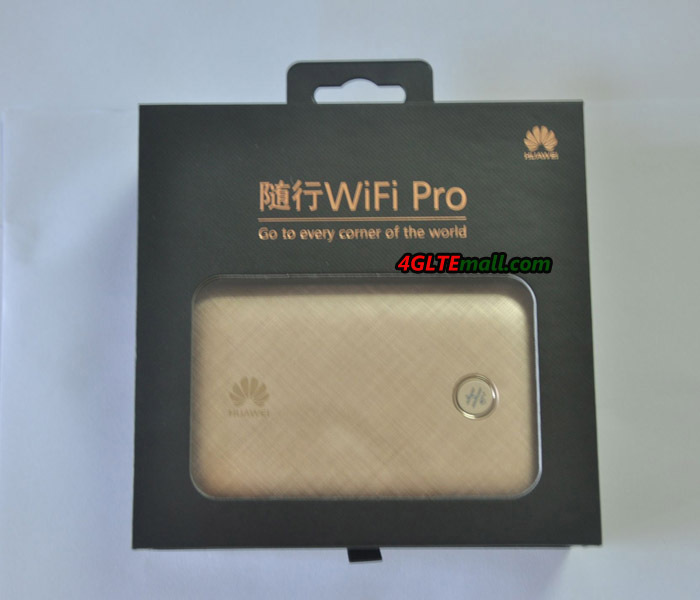 You may have known Huawei mobile WiFi Pro E5770, which has a large battery capacity and could reach peak download speed to 150mbps. And up to 11 devices could connect o Huawei E5770 simultaneously through WiFi. 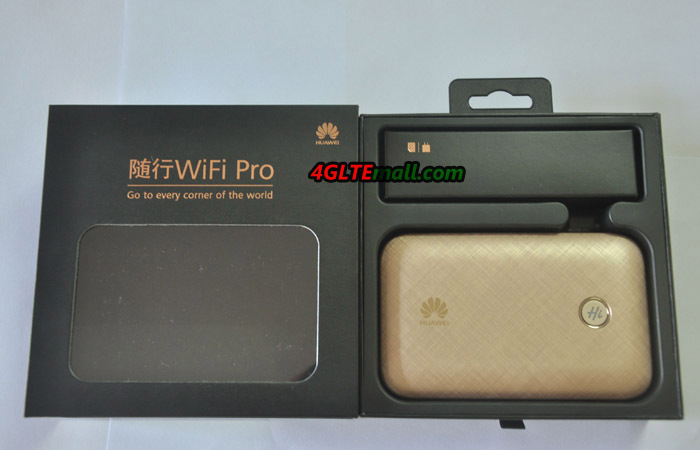 Here now, there is a brother model Huawei E5771 available, which is also called “Huawei Mobile WiFi Plus”. 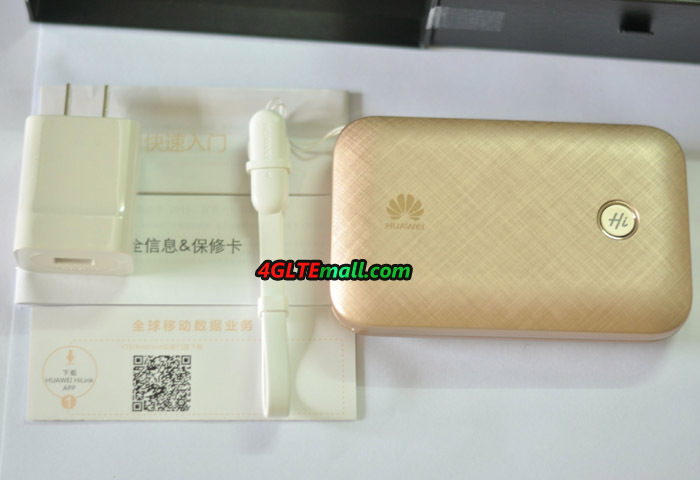 As a new 4G mobile Router, Huawei E5771 is similar to Huawei E5770 in the technical specifications. It’s a LTE Category 4 mobile hotspot which could achieve peak download speed to 150mbps and upload speed to 50mbps. 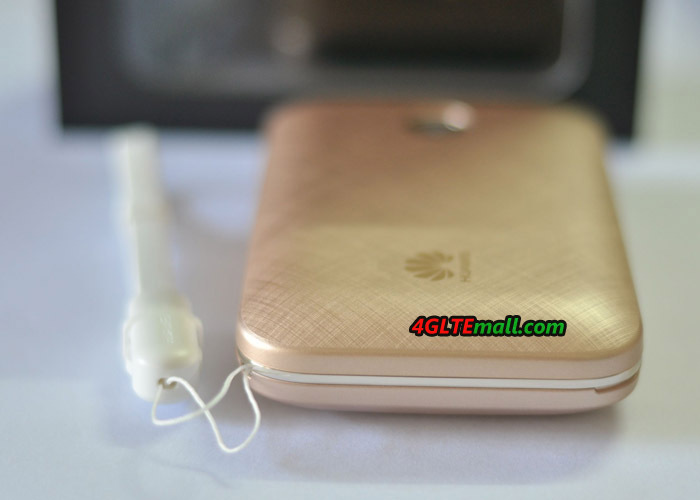 Unlike Huawei E5770, there is no LED screen on the front, only Huawei logo and the power button on the front. The touch feel of the body is good. 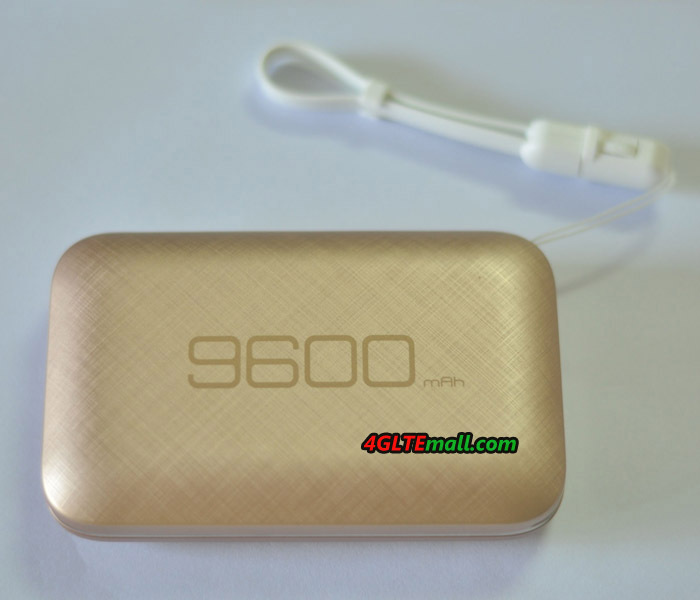 On the back, the number indicates 9600mAh battery capacity, which is almost double of the E5770 battery capacity. On the edge at the power button side, there are USB In & Out ports for 5V/2A. 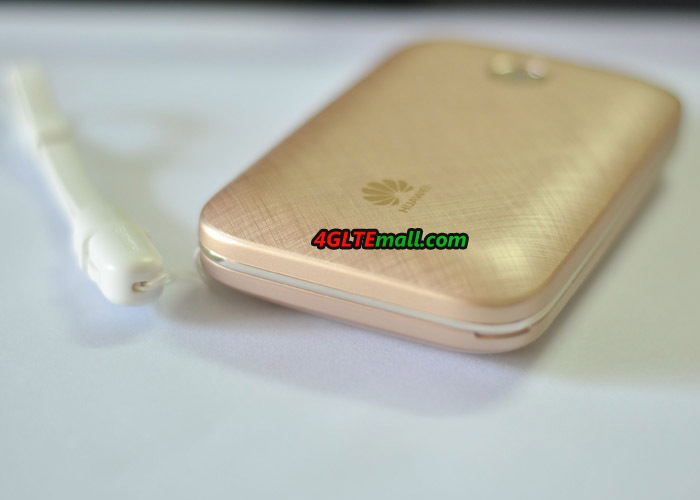 The USB out port is to charge other electronic devices such as smartphones, tablets etc while the In port is for power charging for the Huawei E5771 itself. At the top side edge, there are 5 small indicators, one for data transfer and the rest four for power status. 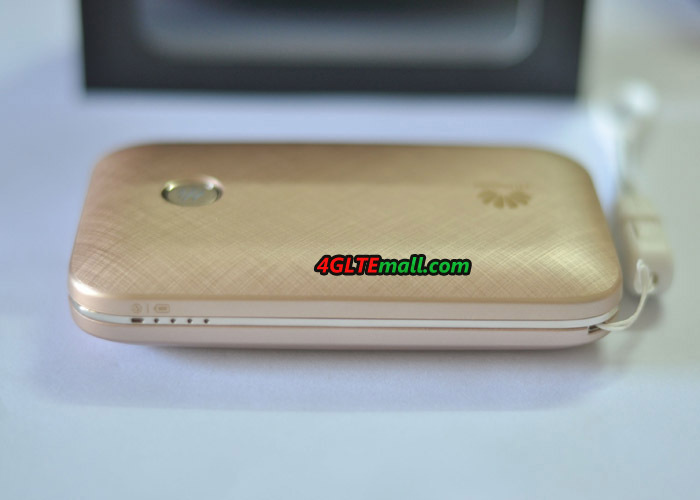 The total design of Huawei E5771 is very simple and classic. I personally like it! 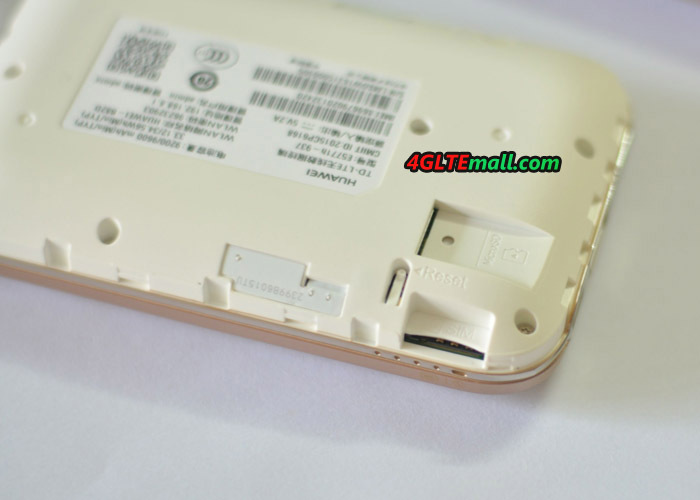 The large battery is built-in the Huawei E5771 WiFi plus, user can open the back cover from the groove at the left side corner. On the inner body, we can see more information about the device, such model number, power output and input, IMEI & S/N number, battery capacity, WLAN network (SSID) name and password, admin IP address and password. There is also a QR code which can be scanned and connect to the device through smartphones. 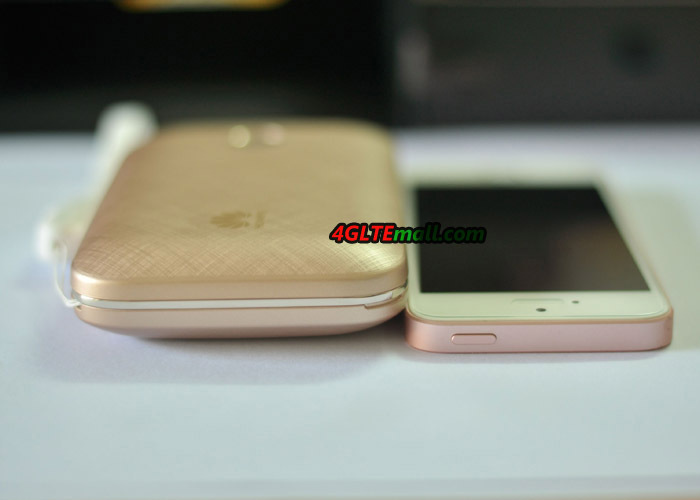 It’s also showed the Huawei Technologies Limited and Made in China. The button has a “Hi” word, which is also a LED indicator. It indicates different network status by colors. In Green, it means network signal is very good, but in yellow, it means weak signal. If in red, there is no network service available, and if in blue, it means the device connect the network via WLAN. 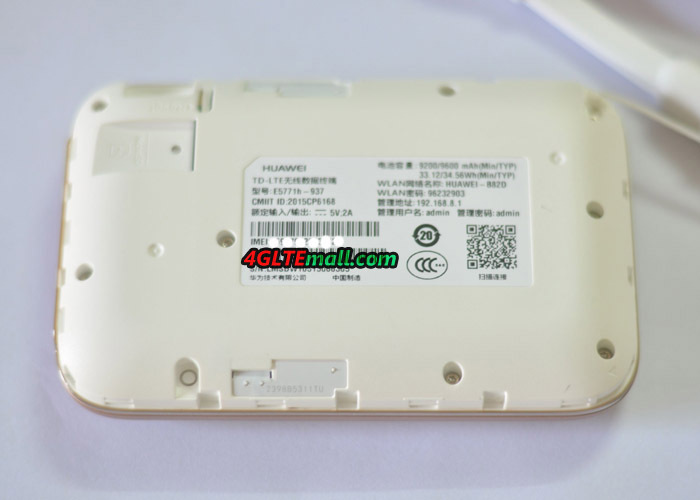 There is a SIM card slot and Micro SD card slot available in the Huawei E5771 Mobile WiFi Plus. 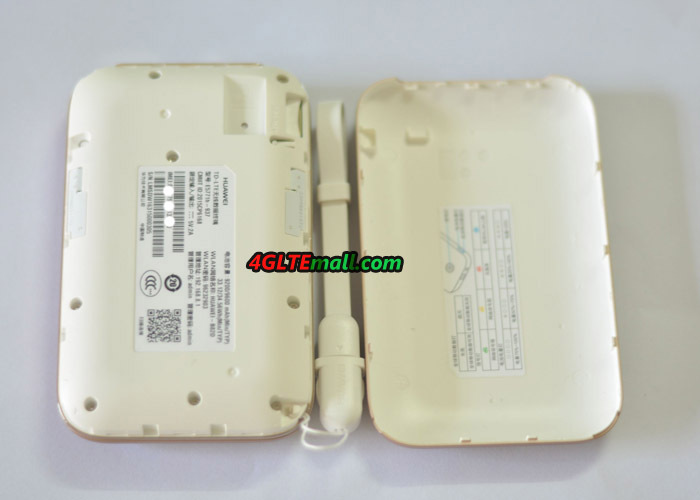 The E5771 MiFi uses Micro SIM card. Users can connect to the device and share the files and documents in the SD card. The Reset button is also available beside the two slots. Users can reset the Huawei E5771 to factory default by pressing the button. 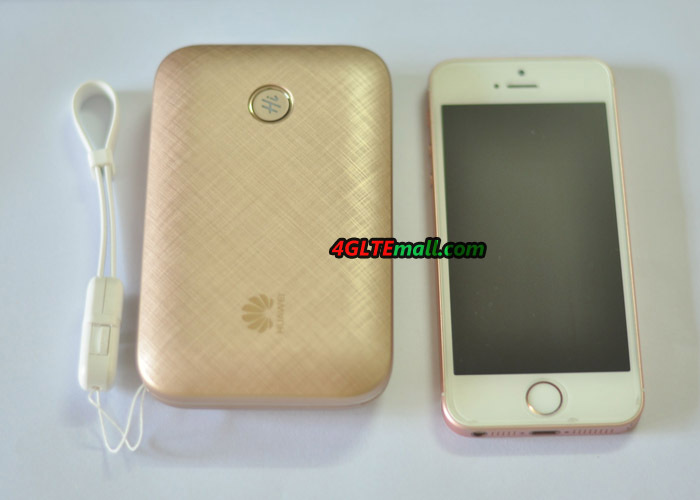 With the Huawei E5771, the manufacturer also provides the USB cable and power adapter. 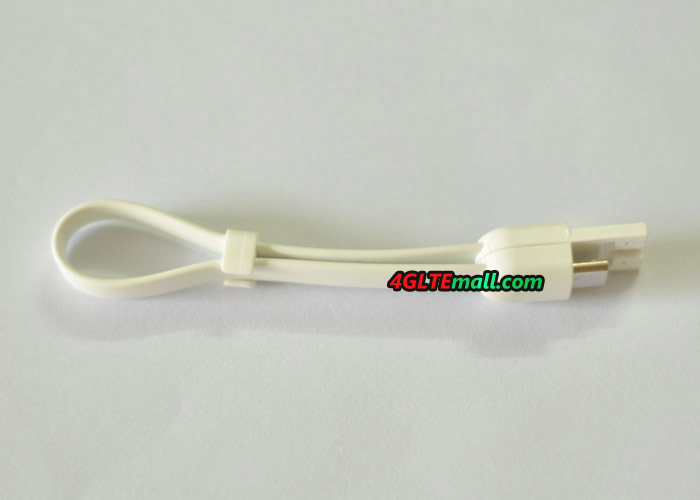 The design of the USB cable is interesting, it can be folded and be the sling for Huawei E5771. It’s a practical mobile router for global use. But the mainstream of the mobile hotspots is with touch screen, where user can operate or setup the router via screen. It’s a pity Huawei E5771 doesn’t have this feature. If you prefer a mobile router with touch screen, you may check the Huawei E5787 LTE Cat6 mobile hotspot. 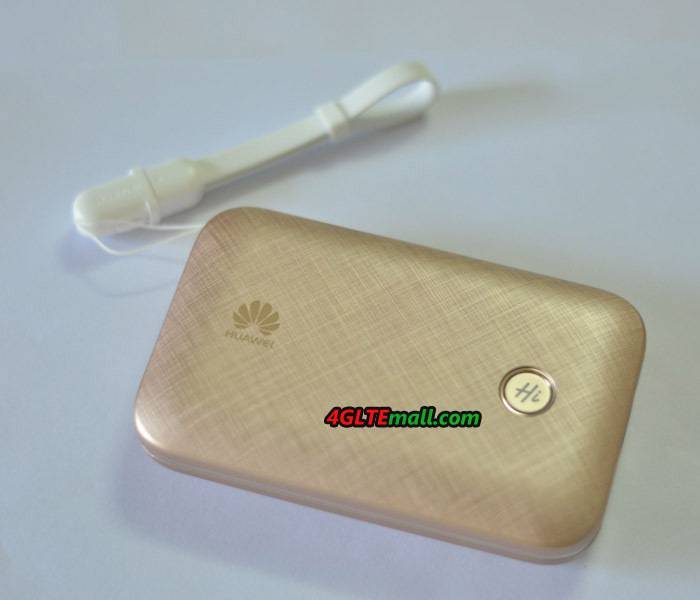 Anyhow, Huawei E5771 is still a very good 4G pocket router and highly recommended!